Here’s the first of the second round of illustration in the series. 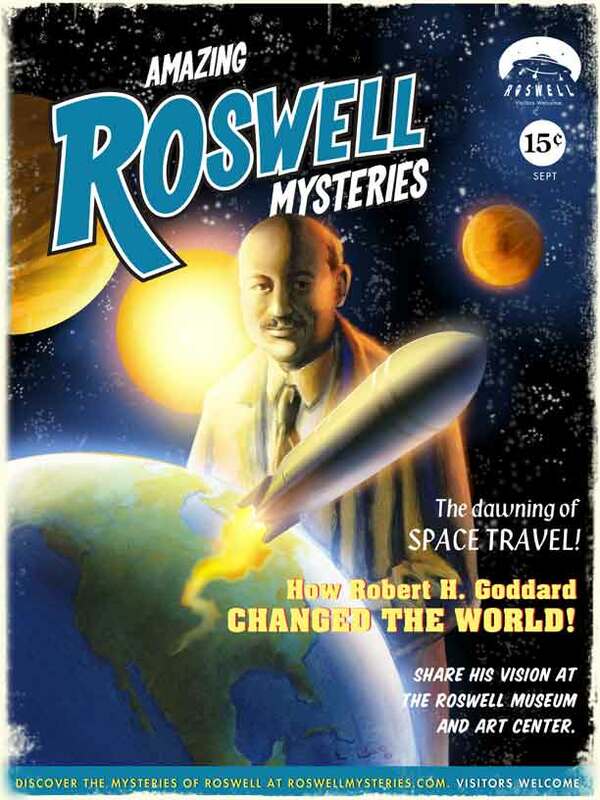 This time the feature is the father of modern rocketry, Robert Goddard. Roswell has a museum dedicated to him with a recreation of his workshop. Enjoy!